January 2012 marks the Golden Anniversary (50th) of sports car endurance racing at the Daytona International Speedway (DIS) in Daytona Beach, Florida. However, from the earliest days of planning Mr. France wanted his racing facility to be a multi-use racing venue capable of hosting stock car, sports car and motorcycle racing events. To that end he incorporated an infield road course into the construction plans. From its opening day in 1959 the Speedway has been host to many Sports Car Club of America Regional and National events as well as the then nationally known Paul Whiteman Trophy Races for sports cars. Those events utilized the tri-oval as well as the infield course and in a sense were testing sessions for what was to follow in 1962. 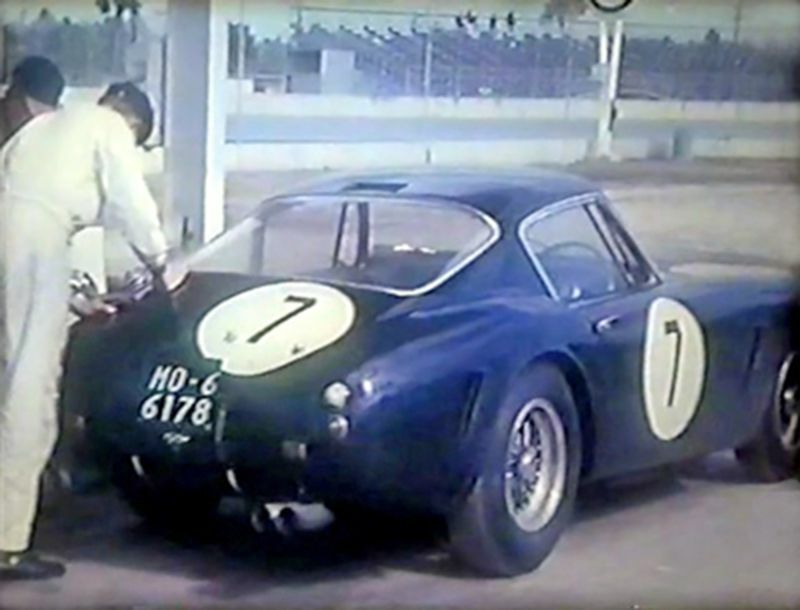 During this period in time Alec Ulmann’s Sebring 12-Hour Grand Prix of Endurance was well established at Sebring, Florida. It was touted in the automotive press as the premier sports car racing event in North America. Mr. France could not help but notice this and probably envied the national and international prestige the Sebring race garnered each year. 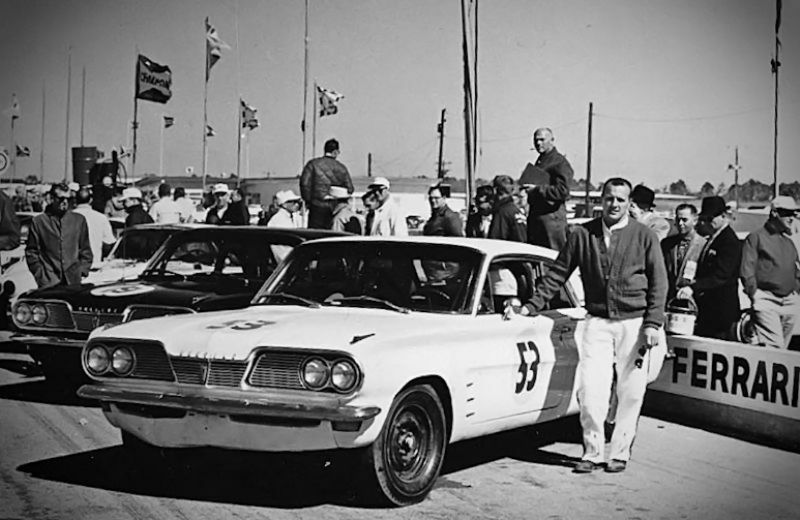 Finally in 1961 France was able to get the international governing body of racing (FIA) to sanction a three-hour event to be held at the Daytona track in January of 1962. This event would be a points race and part of the World Sportscar Championship (WSC). 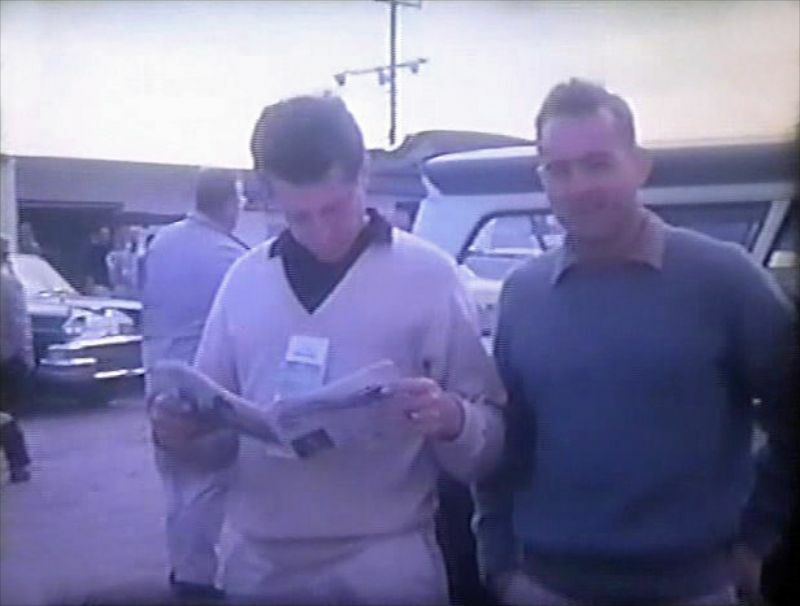 The first event of the 1962 WSC season would draw some of the best cars and drivers in the world to the Daytona facility. Among those entering the race that year were Dan Gurney in a Lotus 19B, Formula One champ, Phil Hill, and co-driver Ricardo Rodriguez in a Ferrari Dino 246 SP, Jim Hall in a Chaparral 1, driving Ferrari 250 GTs would be Stirling Moss, Oliver Gendebien and NASCAR star Glen “Fireball” Roberts. Roberts commented to the media that he had resorted to hand gestures to communicate with his mechanics because he knew no Italian and they knew no English. 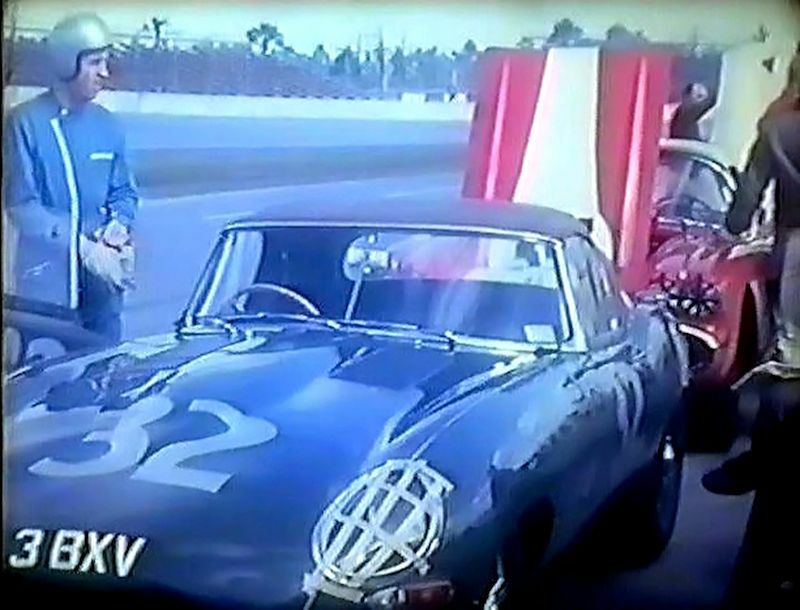 In addition another NASCAR veteran, Marvin Panch, would be driving a Corvette, Roger Penske would be in a Cooper-Climax, and Jim Clark would drive a Lotus Elite. Other well-known racing names included David Hobbs, Jo Bonnier, Pedro Rodriguez, Briggs Cunningham, Roger Ward, Indy 500 champion A. J. Foyt driving a Pontiac Tempest and Joe Weatherly driving a Lister-Corvette. Weatherly raised some eyebrows among the other drivers by wearing pink powder puffs on each wrist as goggle wipers. This was quite an impressive field of FIA, SCCA, NASCAR and USAC champion drivers for the Daytona inaugural. 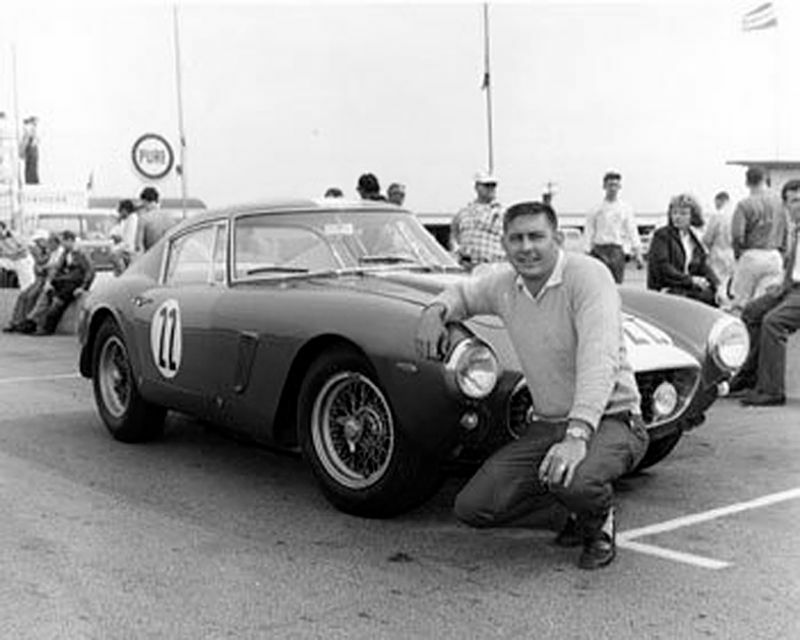 One prominent American sports car driver who failed to make the start of the race was Augie Pabst. His ‘Birdcage’ Maserati blew an engine during practice for the event. When it happened he was on the high banks doing about 150 mph. The car flipped end over end and he was thrown free. The 27-year-old driver and great-grandson of the founder of Pabst Brewing Company sustained fractured ribs, multiple cuts over the face and body, and some internal injuries. His condition was listed as fair at the time but he would recover and go on to drive another day. Another great story by Louie Galanos. Keep them coming. Very enjoyable story and great pictures. The first photo with GURNEY is the JACK KNAB 1962 Corvette big brake / big tank car he owned for many years. Car is in a collection toady. We lost Jack last July 28. Great Story Louie. Love the history. Ah! You mean the lead photo with Gurney sitting (I always thought) just short of the finish line, and the Corvette a blur going by. Until Louis showed me the whole sequence of Gurney at the finish line, I hadn’t realized how far short of the finish line he’d stopped. I, too, had bought the malarkey that he’d turned left and coasted down the banking. Would “under it’s own power” NOT have included starter power, or was that just a possibility that the soap box derby story was devised to counter? Great research, high quality photojournalism. I’ve only recently seen a color photo of the Arciero Lotus 19; I’m still surprised to see it was red. I didn’t remember that the original Tempest raced at Daytona. In 1963, the Mickey Thompson-built new Tempests were real stormers. I’ve always wondered why Ferrari sent the Dino. 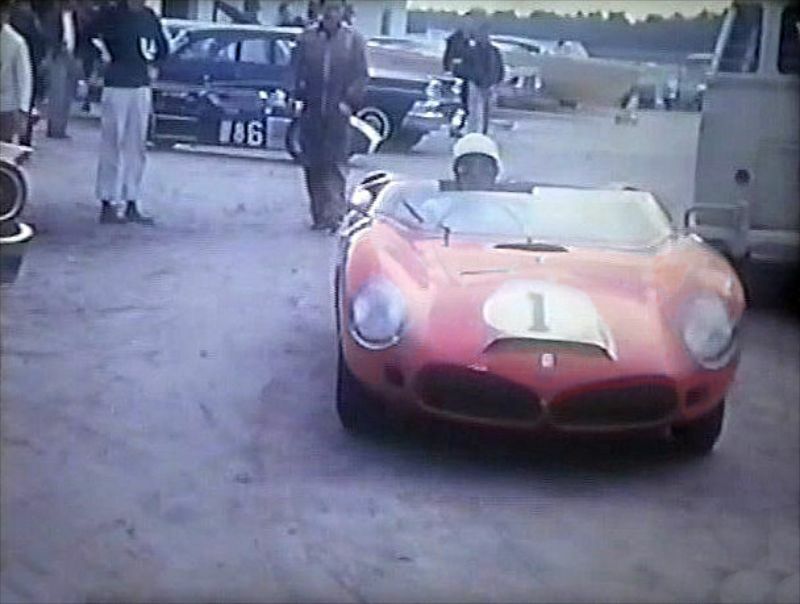 Seems that the Testa Rossas would have been sure winners in this pre-Cobra, pre-Ford year. Thanks for the memories, Louis. Another great adventure told with passion! Rediscover the magic with those wonderful words and images. Thanks Guido for that story. It proves that Gurney actually used his starter to cross the finish line. Also, thanks for the use of the family videos for this story. They really made the story. Once again you have recreated the great drama of that race….I wish you could compile all your great stories and pictures into a book…! Thanks for the story Lou. 1962 was a few years before I got the sports car bug. Enjoyed seeing and reading about the cars and drivers that got the bug just before me. Lou: you really did a great job with those capture foto stills taken from the videos that I made from our old 16mm films. As for the article….fantastic as always. An excellent memory coupled with in depth research. 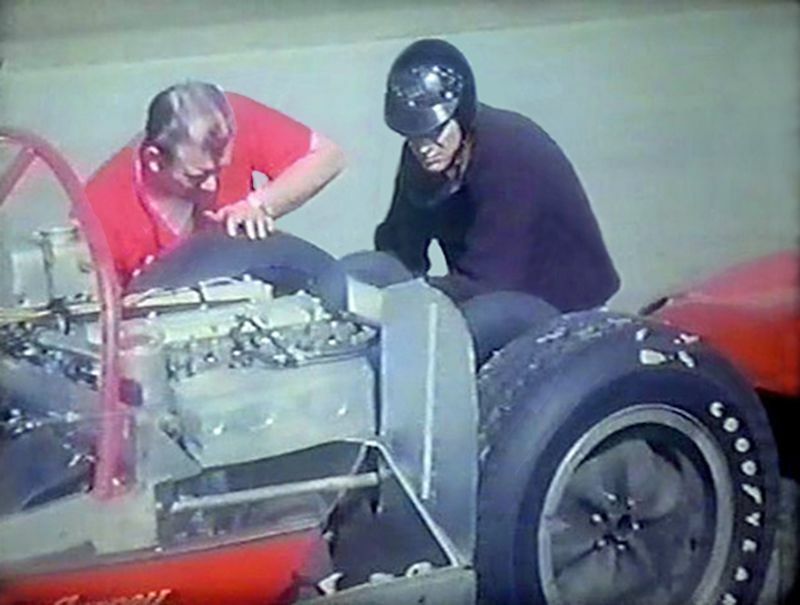 Both Guido and I had access to the pits and I confirm that both Phil Hill and Oliver Gendebien were real gentlemen; taking time to discuss with perfect strangers regarding cars – drivers – Italy – etc. Man, how paranoid would you be sitting there with the rest of the field blowing past trying to improve their position before the end…. Excellent story. I especially appreciated the debunking of the repeated to this day myth about coasting down the banking to win. Speaking of myths, I do wish to point out that the ’62 3 Hour Continental was NOT the first important (as opposed to widely known!) endurance sports car race at Daytona Speedway. In April, 1959, USAC ran a 1000 Kilometer sports car race, part of its then Road Racing Division. This race, as I recall, was on the international calendar. It was flagged at six hours because of darkness. The winners were Antonio Von Dorey and Roberto Mieres in a Porsche RSK Spyder. 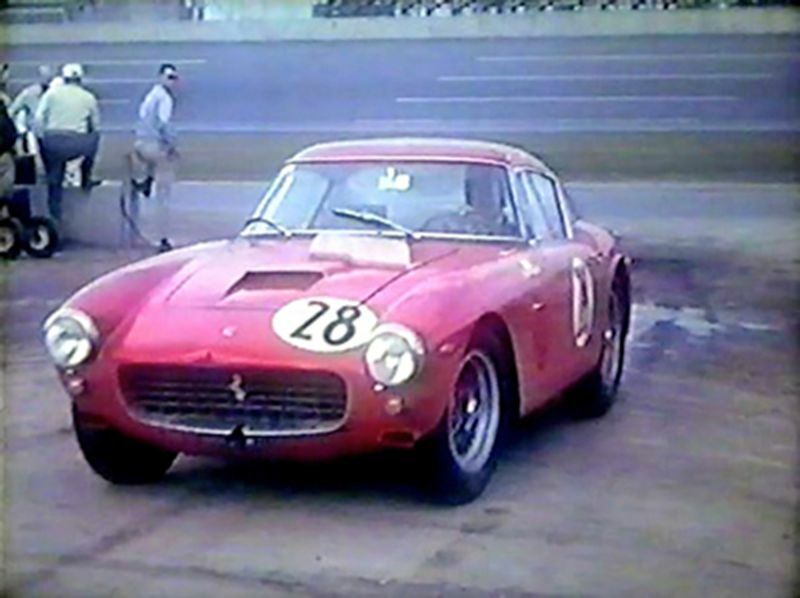 Quite accurately, the ’62 race described is the direct progenitor of today’s 24 Hour race, but it was not the first sports car endurance race at Daytona. 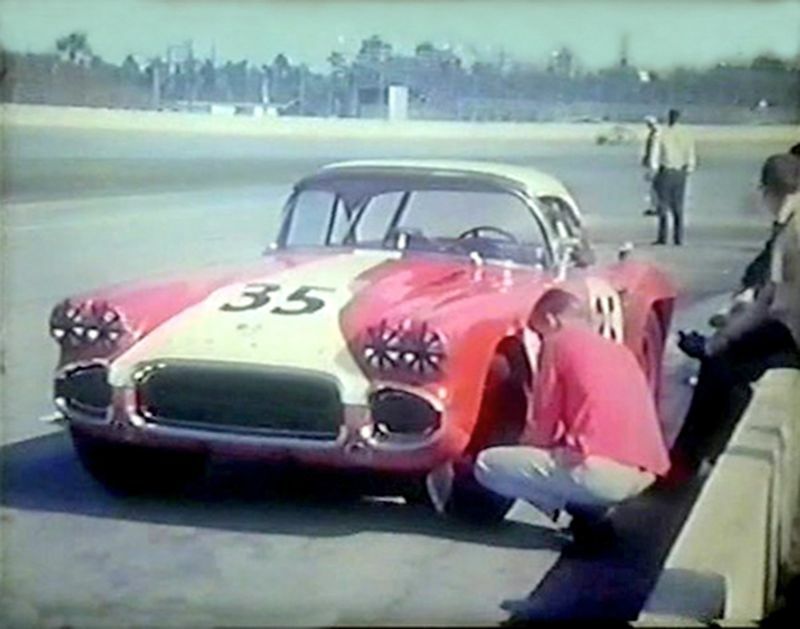 Further, the SCCA ran National Championship events at Daytona in 1959, 1960, 1961, and 1962 all of which predate the 3 Hr Continental. I stand corrected Tom. 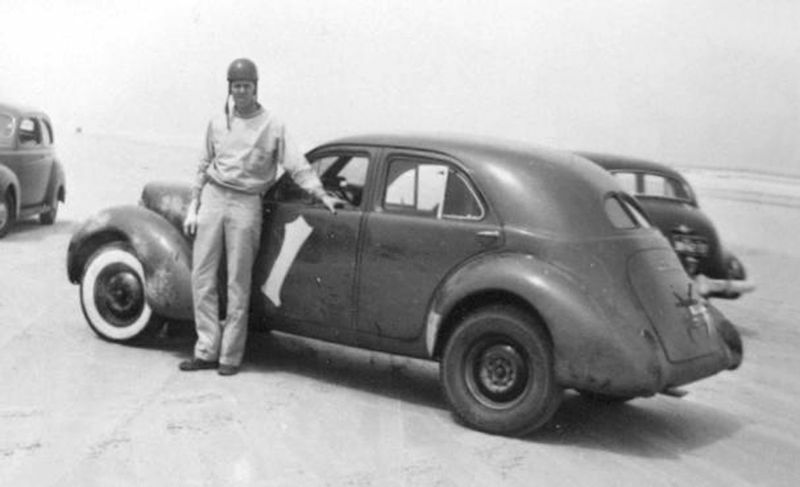 Plus in addition to the USAC and SCCA races the Speedway sponsored the Paul Whiteman Trophy Races for several years. One more thing, some of those sports car races in the late ’50s and early ’60s were run clockwise around the track rather than the standard counterclockwise method today. 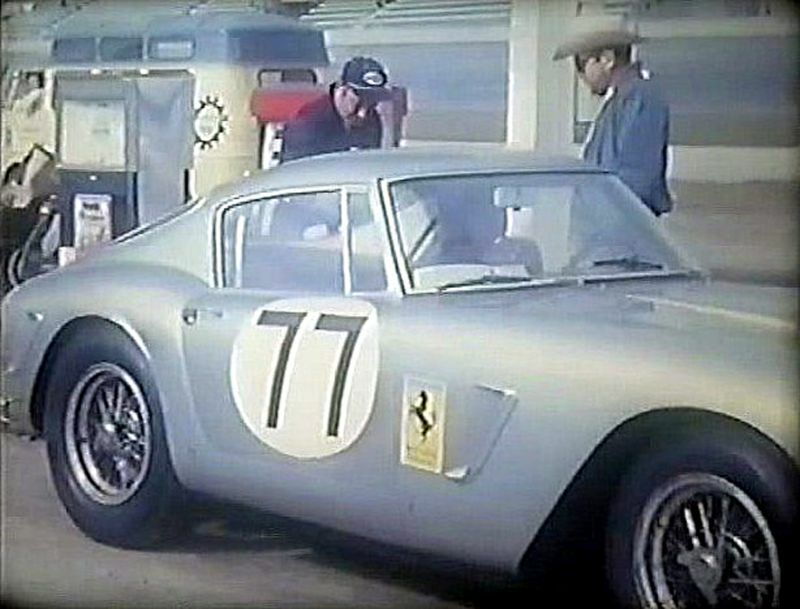 I still feel that “Big Bill” held those events to prove to the FIA that the track was suitable for a FIA sanctioned event which he got in 1962 with the 3-Hour Continental. Agreed. The USAC race plus all the SCCA races were “somebody else’s” races; the Continental was Big Bill’s baby. Well written story with some great pictures. Another fine job Lou ! What happened to Jim Clark in the Lotus Elite? Clark had some problems but don’t know what kind. Many thanks for the reply Louis. As you say the Elite must have had problems but good to see that it did finish. Perhaps I can study my Denis Ortenburger books and find out some more about it. Let me know if you find out what happened to Clark’s car. Thanks Louis for another insightful article. Eventhough I can remember watching the race on TV, I didn’t realize how far Dan Gurney was from the finish line or how far he went across the line on the starter before he cut the wheel left and coasted down the banking. In many ways it was a golden era for racing with stars from F-1, Indy Cars, NASCAR and sportcars competing against one another. Sadly this kind of cross-polination is a thing of the past. Great job Louis! I think I am the only person left that knows the true story of Gurney’s “win”. I was the”runner” for the Stewards of the Meet. After the finish, they had a meeting to discuss the finish. They said the car must finish under it’s own power and the car must be powered by an internal combustion gasoline engine and if the starter motor was used it would be DNF. I was a young engineer and spoke up. And ask them “What if the engine started, just one bang toget it started?’ They said it is broking and will not run. I said “How do you know?” “What if the engine will fire now?” They agreed if it would, they could not call it a DNF. I was told to go see if the engine would fire. I went to the car, which was in the infield and got a crew member and told him that the stewards had to know if the engine would fire. It did, but it sound very broke. I went back to the stewards, told them what had happen and they agreed they could not rule out a legal win. If you were there you would know that the trophy sat in a car during all this time. I have 8mm color movies made by my father that show much of this. Now that is a real eye opener. If what you say can be corroborated by the 8mm movies then it would certainly answer a lot of questions. Are your films available for viewing? If so, I would like to see them. However, it still doesn’t answer the question of why Gurney, after the race in 1962, said he went across on the starter and then much later in life said he used gravity to go across the finish line. If the engine had genuinely fired enough to get him across then why the conflicting stories from the man himself? It is very simple, he found out that using the starter would get him a DNF.And if the starter as used to “Start” the engine a little it COULD NOT say that he did not use the car engine (Do I think he tried to start the engine, NO but as it would run after the race, they could not rule it did not start. If you watch the film of the finish, you will see that the car goes straight! Not that it matter, but I drove in the next one to a 20th Overall in my MGA twin Cam and know that gravity would not move a car like that. What a great comment by John Hill. Talk about FASCINATING…!! You have to love the power of the web and the reach of Sports Car Digest. Kudos to all.